Sphere finial stair rods in thick gauge hollow 12.5mm diameter rods. These rods are hand made to measure to any size - tip to tip measurement required. 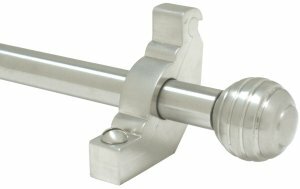 Picture shows satin nickel rod.